A strong, yet feminine piece. 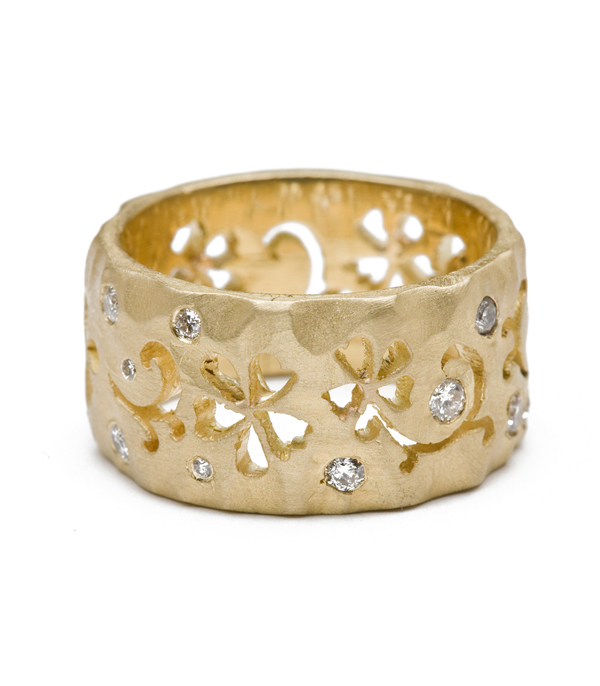 This matte 14K gold hammered band features delicate flower and vines openwork with a scattering of white diamonds encircling the ring. The surface is patterned with our signature time-worn texture, and comes with a high polish finish on the inner side of the band. A substantial statement ring you will treasure for many years!